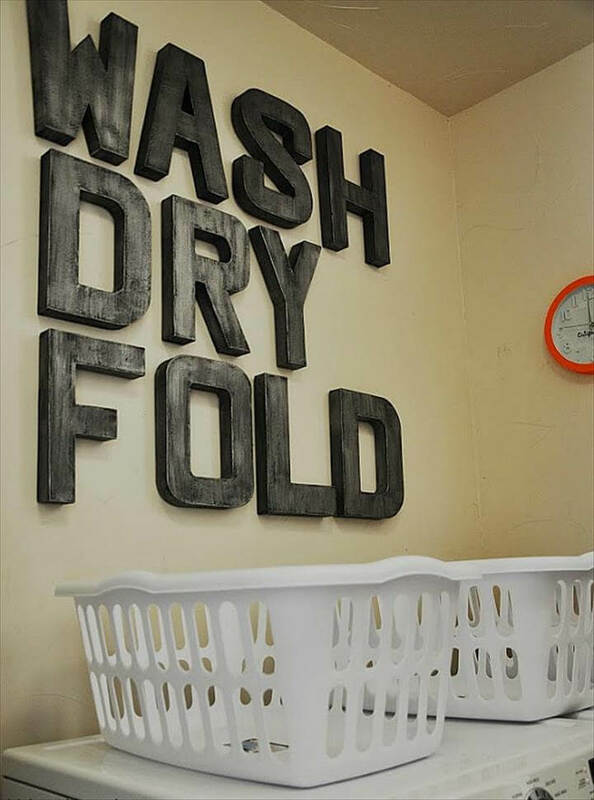 Sometimes when you are looking for interesting and fun decor ideas you ignore the most common things around like the letters. 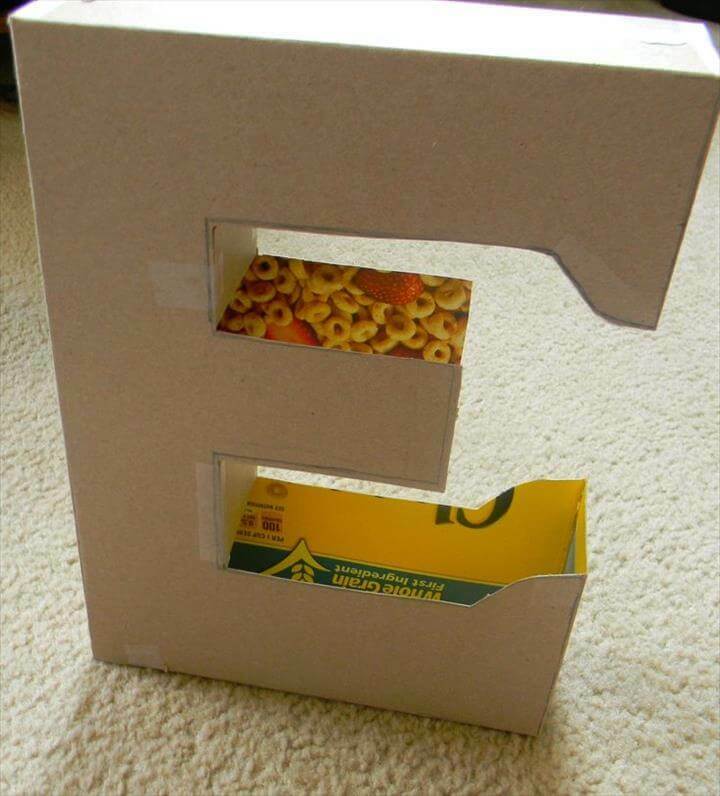 Like passing time on internet, reading a book, texting on mobile, we all come across unlimited letters which can contribute to our home decor. 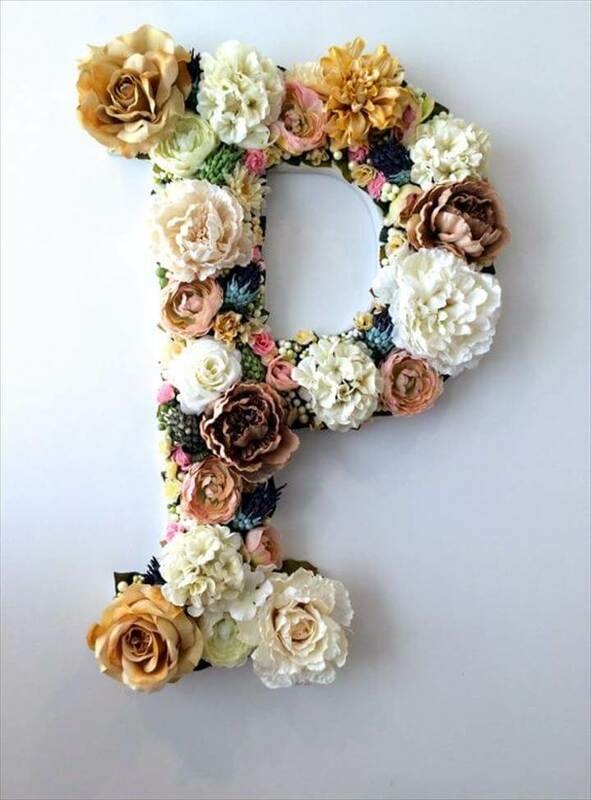 Yes picking up your favorite letters like the initial of your own name, your partner’s or an other family member or words like LOVE, LIFE you can make them a part of your home decor. 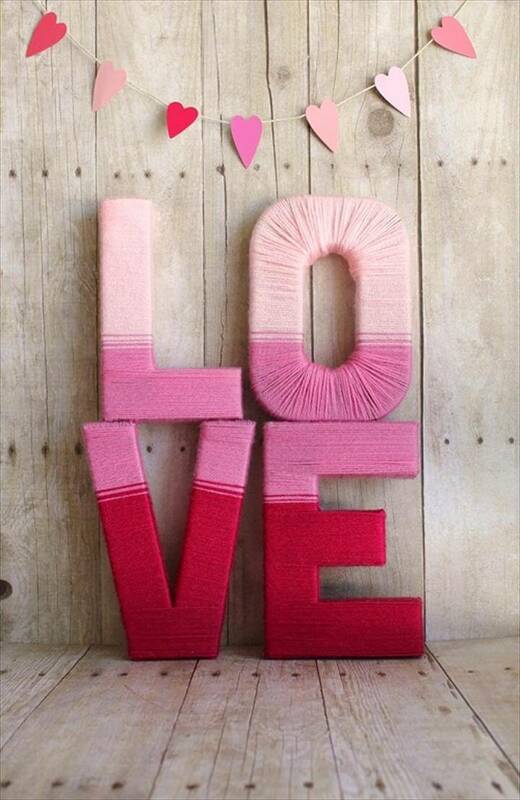 These letters are the best way to provide your home decor a personalize touch and that too without costing much. 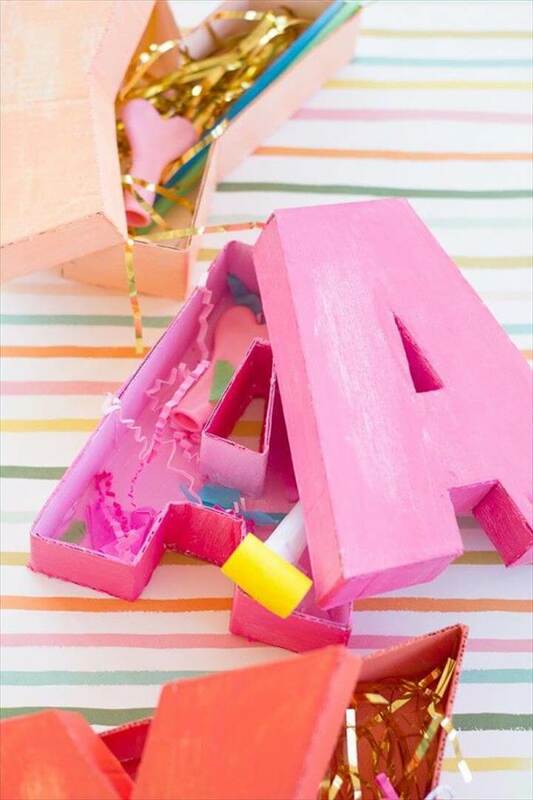 Here we have these 20 amazing eye catching DIY letters for you to try making at home and customize your room decors in totally personal perspectives. 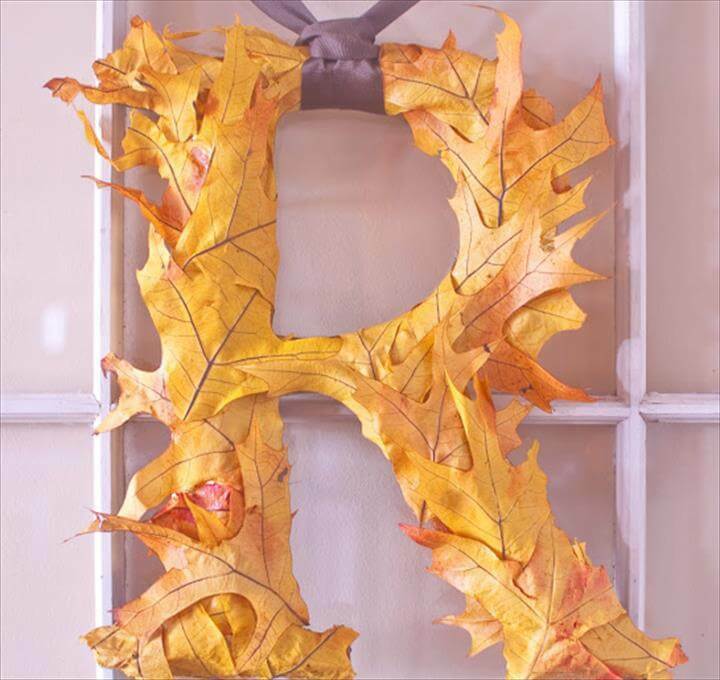 Just change the size of your favorite letter, initial or word and you can display them in a variety of ways for enchanting looks. 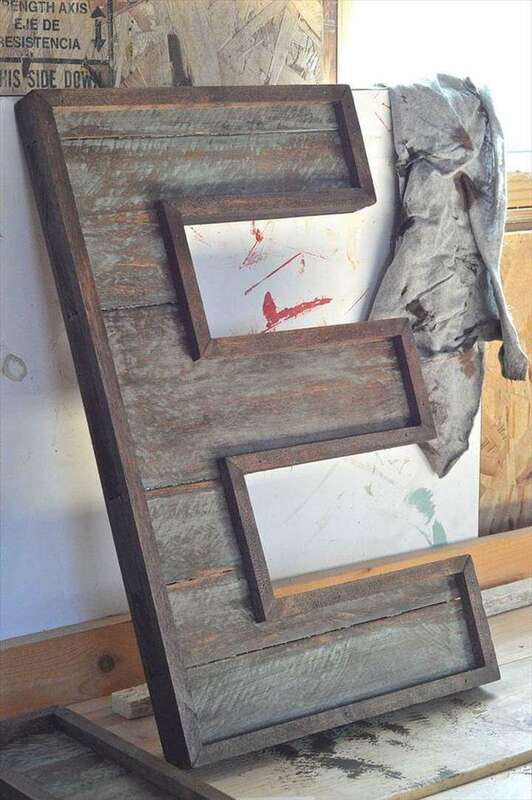 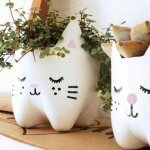 Like the big ones would stand nicely free and alone in your entrance, hall or living while the smaller ones can be mounted on walls or displayed on tables or mantles. 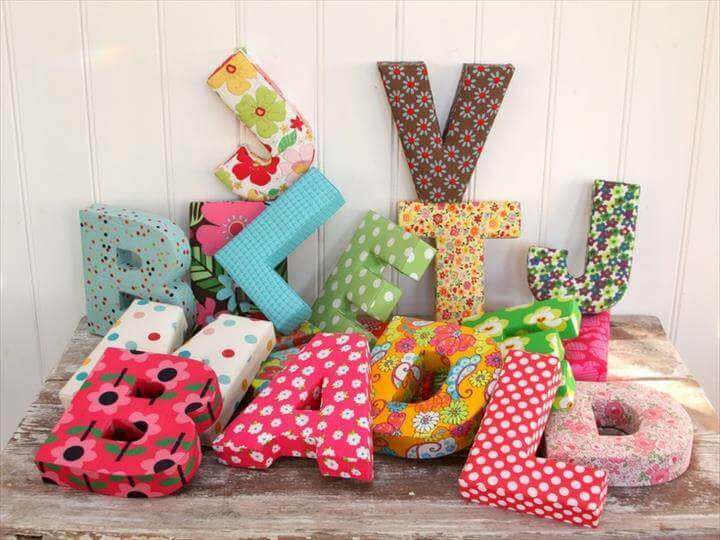 Card board, wood in all forms like chunks, boards and even twigs and foam you use any thing approachable to create these lovely letters. 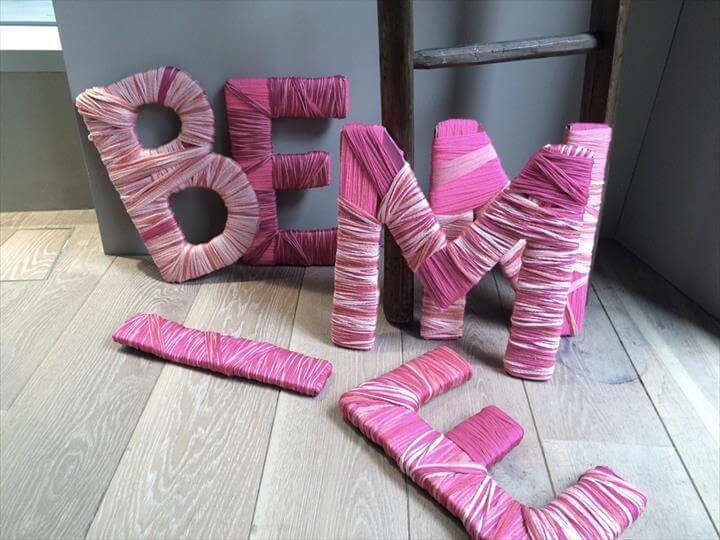 Their covering, dressing up and styling is the real fun part that opens up a unlimited ideas to play with your creativity. 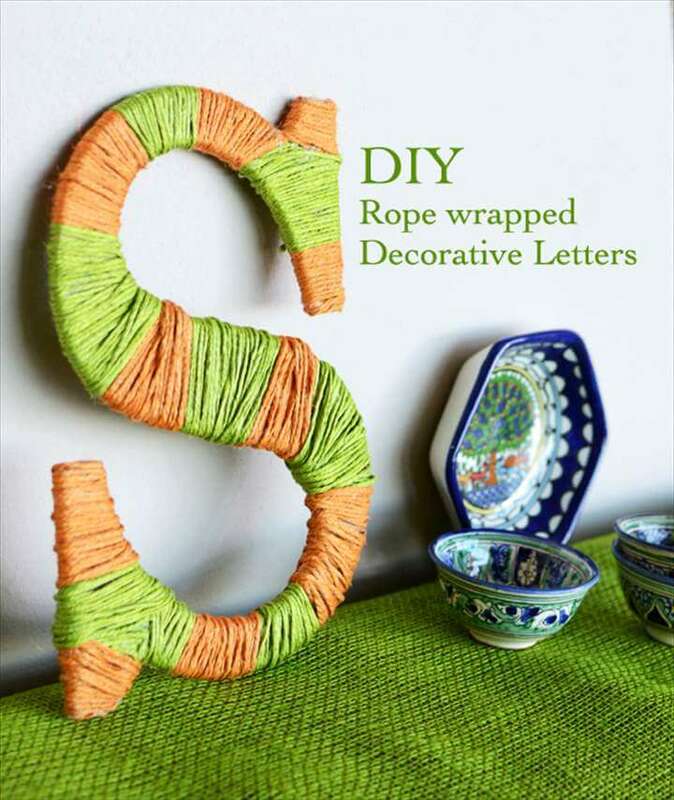 Glittering, painting, covering with twine, fabric, maps, decorating with flowers these letters would look so exquisite and gorgeous to add four moons of beauty in your home decor for sure.